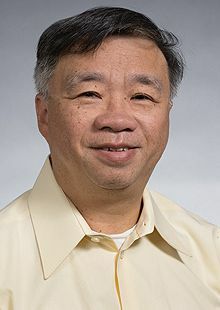 Dr. Chhieng is director of Anatomic Pathology and a UW professor of pathology. He is a surgical pathologist, with expertise in cytopathology, especially in performing and interpreting fine needle aspiration biopsies (FNA). Dr. Chhieng earned his medical degree from the University of Hong Kong in 1987. He completed his pathology residency training at the Albany Medical Center in Upstate NY in 1996 and fellowships in surgical pathology at the Memorial Sloan Kettering Cancer Center in 1997 and cytopathology at New York University in 1998. He also earned his master degree of business administration and health informatics at the University of Alabama at Birmingham and master degree of engineering management at the University of New Haven. He has served as a faculty member at the University of Alabama at Birmingham, where he rose to the rank of full professor. He then assumed the position of director of cytology and outreach service at the Yale University. Before his arrival to UW, he was the director of cytology as well as site chair for the 3 clinical laboratories at the Mount Sinai Health System in New York. Dr. Chhieng is a nationally renowned cytopathologist and has been invited to present in numerous national and international conferences. He is a prolific research, publishing 175 refereed articles since 1995. Dr. Chhieng is board certified in Anatomic and Clinical Pathology, Cytopathology, and Clinical Informatics. He is listed in the Best Doctors in America in Birmingham, New Haven, and New York City as well as New York Magazine’s Top Doctors. He currently serves as the president of the Papanicolaou Society of Cytopathology. As a cytopathologist, I use diagnostic and screening tests to identify and interpret the changes that characterize different diseases in the cells, tissues, and fluids of the body. I participate in day-to-day care of patients by providing a comprehensive and final diagnoses as well as important prognostic and therapeutic information to help develop definitive and personalized treatments and estimate the likely course of a disease. Knowing that every sample represents the life of someone’s spouse, someone’s parent, someone’s sibling, someone’s child, or someone’s friend, I treat each one as I would want the people important to me to be treated. Because of the expanding volume of new and highly complex tests, I frequently advise clinicians on the indications, interpretations, and implications of these molecular tests. In addition to daily interaction with clinicians and other health care professionals about test results, I also have direct patient contact on a frequent basis through the performance of fine needle aspiration biopsy of suspicious masses. The opportunity to interacting with patients directly is what excites me most as a cytopathologist. It allows me the opportunities to share my knowledge with the patients and their family directly.